ECN, which stands for Electronic Communication Network, really is the way of the future for the Foreign Exchange Markets. ECN can best be described as a bridge linking smaller market participants with tier-1 liquidity providers through a FOREX ECN Broker.. This linkage is done using sophisticated technology setup named FIX Protocol (Financial Information Exchange Protocol). 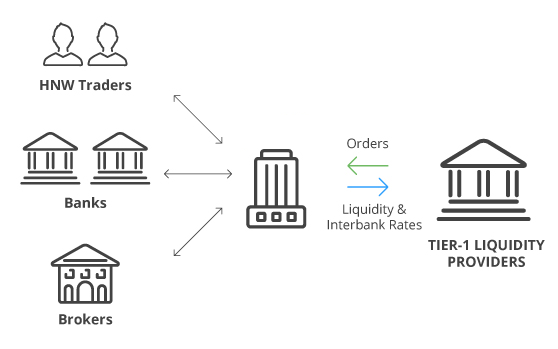 At one end, the broker obtains liquidity from tier-1 liquidity providers (Major Banks) and makes it available for trading to its clients. On the other side, the broker delivers clients’ orders to Liquidity Providers for execution. Broker benefits from commission fees per transaction. The higher trading volume the broker’s clients generate, the higher the broker’s profitability. 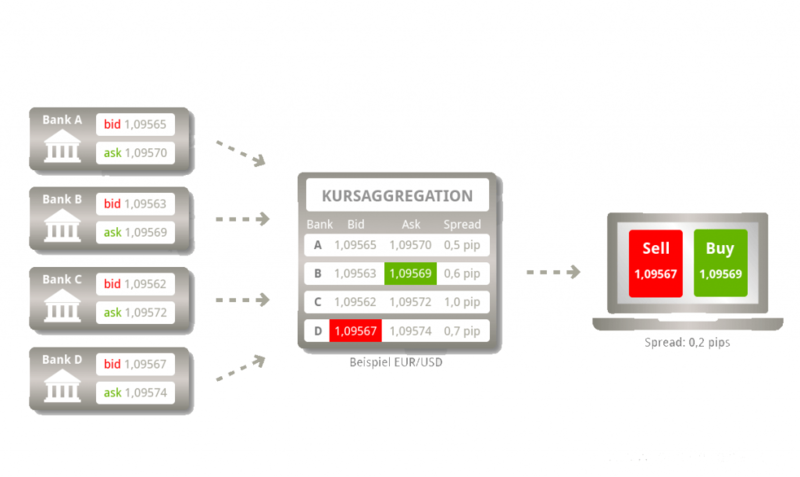 ECN is an automated system that matches buy and sell orders for securities. An ECN Broker connects major brokerages and individual traders so that they can trade directly between themselves without going through a middleman. The ECN makes money by charging a fee for each transaction. ECNs make it possible for investors in different geographic locations to quickly and easily trade with each other. The Securities and Exchange Commission requires ECNs to be registered. All ECN trading activity is totally anonymous. Anonymity enables traders to deal on neutral prices, which reflect the real market conditions only and are not biased against the client’s direction based on forex trading strategies, tactics or current market positions. Clients can trade forex instantly on live streaming rates at the best executable prices with immediate confirmations. OBOFX does not provide a “last look” to price makers, so OBOFX trades are final and confirmed as soon as they are dealt. There is no dealing desk to intervene, so there are no re-quotes. The OBOFX ECN model allows clients to trade on the global liquidity of world-class banks and qualified financial institutions. 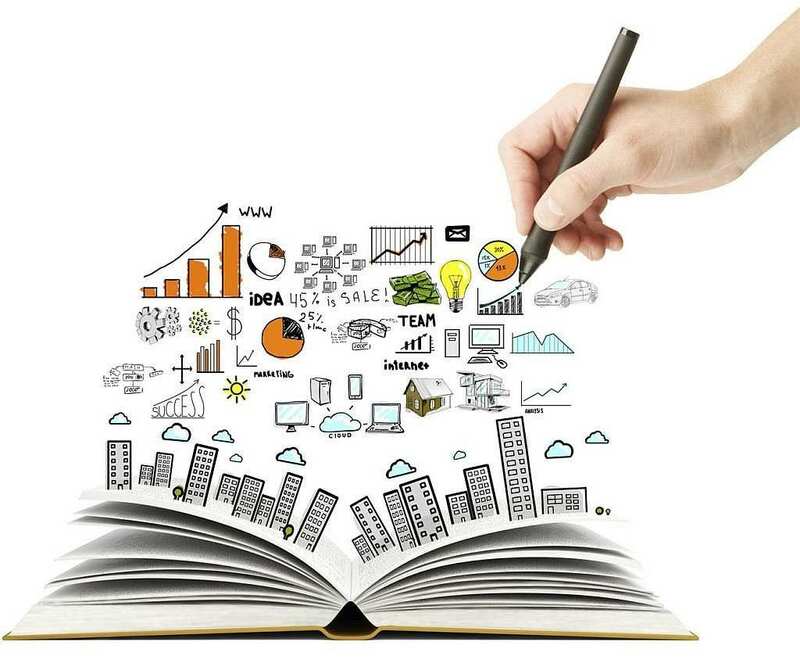 Through the use of our API, clients can connect their trading models and risk management systems to our market data feed and matching engine. OBOFX’s live, neutral, executable market data includes the Best Bid and Best Ask prices at the time. These attributes of our data make it robust in back testing trading models and powering them for live trading. Unlike a dealer, however, OBOFX does not control the bid/offer spread and therefore cannot provide the same bid/offer spread at all times. OBOFX offers variable spreads. On an ECN, clients have direct access to market prices. Market prices fluctuate reflecting supply and demand, volatility and other conditions. The OBOFX ECN enables clients to trade on tight bid/offer spreads, which are as low as 1 pip on all majors in normal market conditions.